The Annual Iftar-Dinner Fundraiser: The Aligarh Alumni Association (AAA), Washington, DC, will hold its annual Iftar-Dinner Fundraiser, on Saturday, June 18, 2016, at 7:30 pm. The location is Gaithersburg High School, Gaithersburg, MD. The collected funds will support needy and bright students at Aligarh Muslim University and sustain coaching centers in various cities in India. The project is long enduring and has been highly successful. Last year (2015), it provided funds to support some 2,500 scholarships and sixteen coaching center. The AAA has appealed to the community to attend the fundraiser and to contribute generously to the noble cause. The Passing of Another Literary Celebrity: Professor Malikzada Manzoor Ahmad passed away on Friday, April 22, 2016, in Lucknow. A noted short-story writer, poet, and legendary compare of Mushairas, Malikzada Manzoor Ahmad, rose to become the glittering star on India’s literary horizon. He fashioned a unique style of nizaamat; his commentaries spiced with his spontaneous wit and humor enthralled audiences. I was privileged to be his student at the Shibli National College at Azamgarh. Later, he left Azamgarh to join Gorakhpur University and finally moved to Lucknow University from where he retired. While I was a student at Aligarh University, he often came there to conduct annual mushairas organized by the Students’ Union. Speaking in chaste Urdu and with a commanding voice, he was able to control the young, exuberant crowd, otherwise notorious for its rowdy behavior. Convention of the Federation of Aligarh Alumni Association (FAAA): This year, the FAAA meeting was held in Phoenix, Arizona, on Friday and Saturday, May 13-14, 2016. Some AAA members attended it as individuals; but, unfortunately, there was no official representation of the Washington DC Association. The highlight of the meeting was the addresses of several noted philanthropists, entrepreneurs, and educators. Most prominent among them were Dr. Shahid Jameel, a well-recognized scientist, Dr. Nadeem Tarin and Mr. Ameer Ahamad Manapatt. Dr. Tarin, a wealthy entrepreneur, with wide business interest in Riyadh, is sponsoring the construction of a hall of residence at Aligarh and appealed for individual donations for single rooms which would carry the name plaque of the donor. The Vice Chancellor Lt. General Zameer Uddin Shah addressed the audience via Skype, and described the progress the University had made in a number of areas, including the production of PhDs and the bringing in of modern technology to the classroom. He was optimistic that the ongoing court case about the minority status of the AMU would be settled in favor of the University. The convention was well organized and conducted. The Aligarh Alumni Association, Washington DC, entered the fifth decade of its life on May 24, 2016. In the following write up, Dr. A. Abdullah, one of the founders of the organization recounts the story of its birth 41years ago, its survival, and some of its accomplishments. The idea of the formation of an association came to my mind while I was a graduate student at SUNY, Buffalo, in the summer of 1968, perhaps triggered by a bill in Indian Parliament proposing to drop Muslim from the name of the Aligarh Muslim University. To my mind, the only effective way to influence the events in a democratic India was through an association that could collectively represent our views. Initially, the plan made no progress as there were only a few students from AMU at SUNY. However, when I moved to Washington and Hasan Kamal fortuitously also arrived here in January of 1975, I shared my ideas with him and together we set about translating the dream into reality. 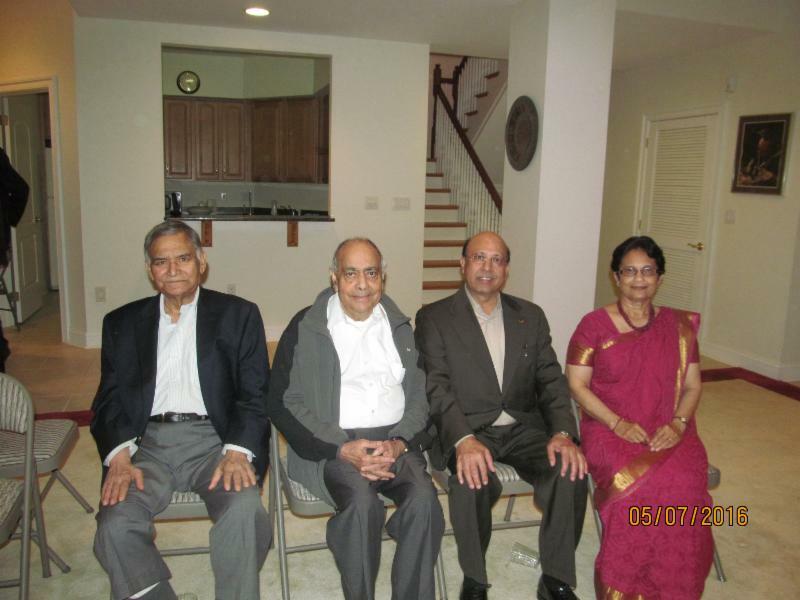 On May 24, 1975, twenty-five Aligs held a meeting at the residence of Syed Tufail Ahmad in Lehman, Maryland, and resolved to form The Aligarh Alumni Association, Washington DC. It was a happy coincidence that exactly a century ago on that day, Sir Syed had founded ‘Madarsatul Uloom’ in Aligarh with 7 students. The modest seedling he planted has now grown into a world-class institution, the Aligarh Muslim University, having an enrolment close to 30,000. The nascent association organized its first function, a Mushaira, held on October 18, 1975, at Gaithersburg High School. To the best of our knowledge, this was the first ever public Mushaira in North America. Seventeen poets from across the US and Canada participated in the Mushaira. Late Mr. Mohammad Shoaib, the former Finance Minister of Pakistan, presided over it and Professor A.M. Khusro, Vice Chancellor of AMU, was our chief guest. This occasion was also significant in that high officials of three embassies, India, Pakistan, and Bangladesh, attended the function and came together under one roof. It was shortly after the war of 1971, prompting Professor Khusro to quip that it was the magic of Aligarh that accomplished that. We are fortunate that out of the 25 original founding members, 22 are still alive, ten of them residing in the greater Washington area, and seven actively participating in the association’s activities. Not being content with sponsoring social and cultural activities alone, we were looking for instituting some enduring charitable work. The idea of scholarships for students at AMU was first floated by Kabir Malik (now in California) in an Eid gathering of the Association held in a Church near PG Plaza in PG County. It was seconded by Aley Ahmad Hashmi and Aftab Ansari-both are alive, mashaAllah–and the first donation came from Tariq & Farzana Farooqi. From its unassuming start, the program has now grown into a robust and a highly successful enterprise.